bright purplish-pink or white flowers in late June to early fall. 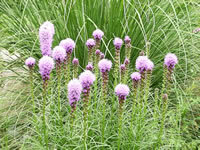 Blazing Stars are sometimes called Gayfeathers or Snakeroot plants. They are an ideal plant to grow in your butterfly garden. Liatris performs best when it is grown in full sun, but will tolerate a bit of light shade. They do not like soggy soil during the winter months so good drainage is extremely important! Once established, Gayfeathers are fairly drought tolerant plants. 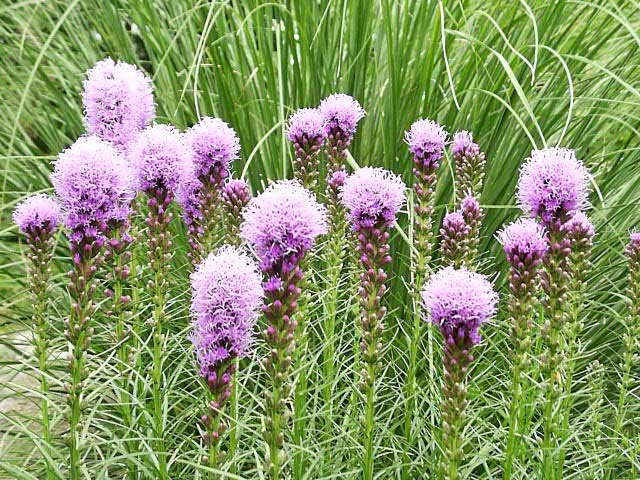 Liatris may tend to develop mildew if they have insufficient sunlight and air circulation, so be sure to give them plenty of room. 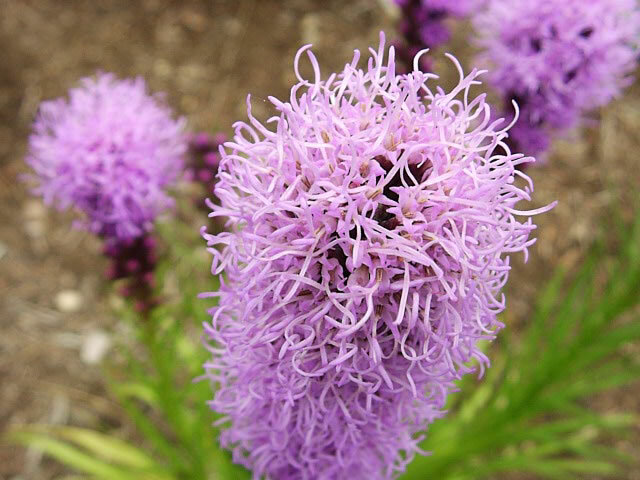 Blazing Stars plants can easily be grown from seed which should be sown indoors at 65-75 degrees or directly into the garden in early spring. Germination takes from 20 to 45 days. 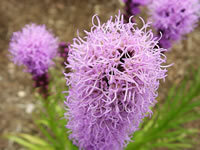 Blazing Stars can also be propagated by division. 15 inches apart in rich, slightly sandy soil.